Three Syrians apparently attempting to sneak into the United States by traveling with fake Greek passports have been arrested on the Caribbean island of St Maarten, authorities said. The men were detained on November 14, but officials said they have not asked for asylum and it is not believed they are linked to any terrorist groups. However, the investigation is continuing to determine their identities and how they obtained the fake documents. They arrived on the island on an Insel Air flight from Haiti, according to Norman Serphos, a spokesman for the public prosecutor’s office. The Syrians had traveled from Europe, then stopped in Brazil, the Dominican Republic and Haiti before arriving on St Maarten. However, authorities said it is unclear where exactly they were headed. Prosecutors said they had shared the information with Interpol and other international law enforcement agencies, including U.S. authorities. 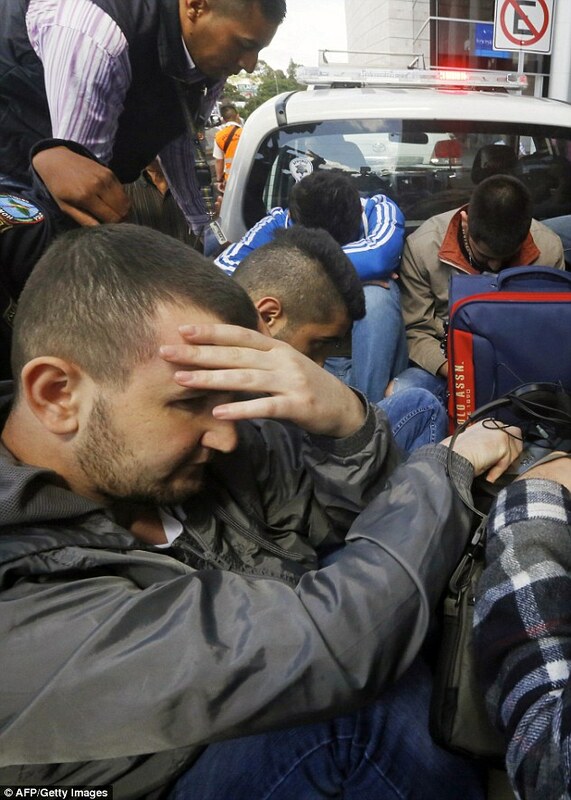 Authorities said similar routes have been used by other Syrians arrested in neighboring countries. Earlier this week, authorities detained a Syrian woman in Costa Rica and five others in Honduras. All were carrying falsified documents, authorities said. 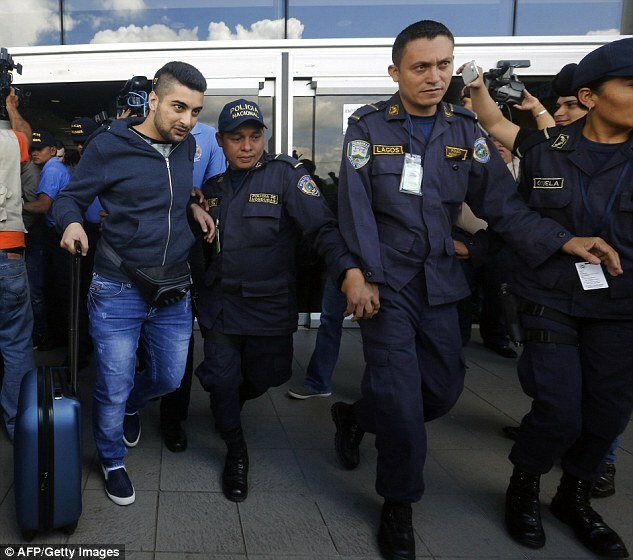 It came as Daily Mail Online exclusively revealed the five Syrian men who caused international alarm when they were stopped in Central America on their way to the United States were only caught because their flight was delayed. If the last Avianca Airlines flight from San Jose, Costa Rica, to Tegucigalpa, Honduras, had not been held up on Tuesday, the men would have been free to travel on. 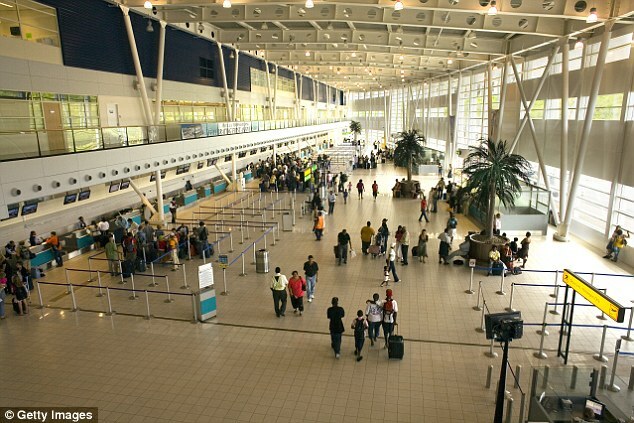 But it was so late they missed their connecting flight to the northern Honduras city of San Pedro Sula, just 20 miles from the border. From there they planned to cross into Guatemala and travel by land through Mexico to the United States. The men are now not considered terrorists, Honduran officials told Daily Mail Online. Police spokesman Anibal Baca said they feared being pressed into service or kidnapped by ISIS and then set off on their perilous journey. ‘They are normal Syrians who left their country to escape the violence there,’ he said. The men’s odyssey has highlighted glaring lapses in security that could potentially be exploited by ISIS and other terrorist groups. They carefully planned their trip, spending five or six days in three different countries, Brazil, Argentina and Costa Rica, as they made their way north. ‘They didn’t want to arouse suspicion so made it look like they were tourists spending time in each place,’ a Honduran official involved in the case told Daily Mail Online. They went from Brazil to Argentina by land at the porous Triple Frontier near Iguazu Falls, a well-traveled tourist destination where Brazil, Argentina and Paraguay meet, a U.S. source said. The three countries belong to the Mercosur customs bloc, where travelers can cross borders with simple identity documents rather than passports. They each came into Honduras with one rolling suitcase, small enough to be considered hand luggage. 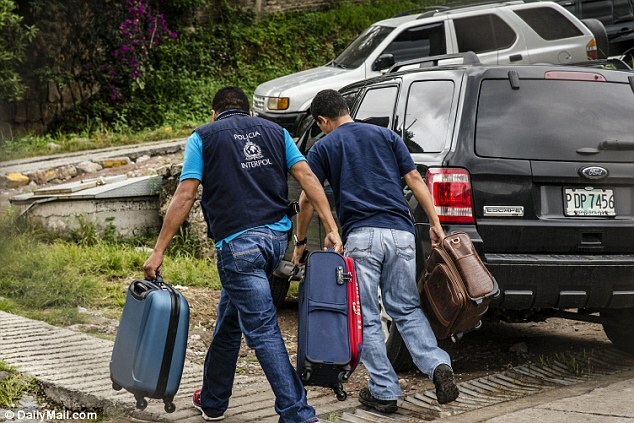 The men, all 30 or younger, are still in limbo in Honduras awaiting a decision on whether they should be sent back either to their home country or Brazil, where they obtained the fake Greek passports, or whether they should be given refugee status and be allowed to stay in Honduras. 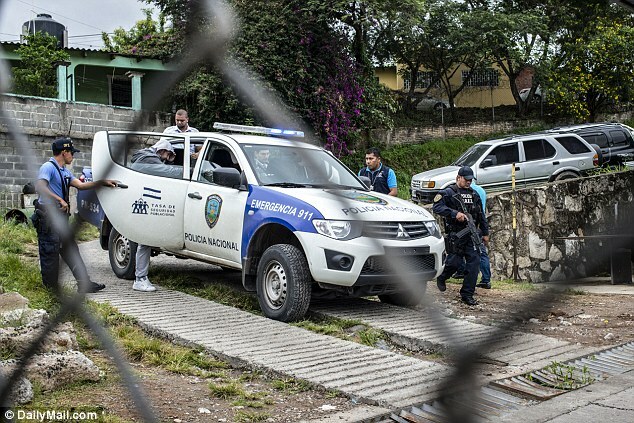 A judge on Friday decided they should be held in the maximum security Marco Aurelio Soto prison close to Tegucigalpa, the Honduran capital, until Tuesday when their fate will be decided. The court hearing was delayed for hours because of difficulty finding an Arabic translator. 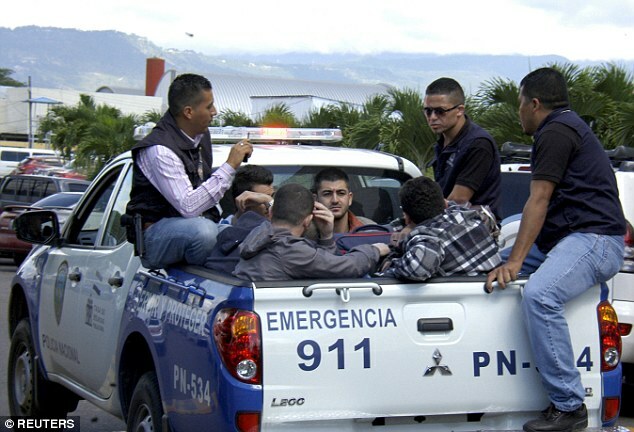 The five were held at Toncontin Airport in Tegucigalpa late on Tuesday. They had spent six days in Costa Rica. When they realized they had missed the last flight to San Pedro Sula, the group’s leader, 30-year-old Mazen Mikhail approached a security officer to ask what they should do. ‘The officer became suspicious because the Syrian was obviously very nervous. 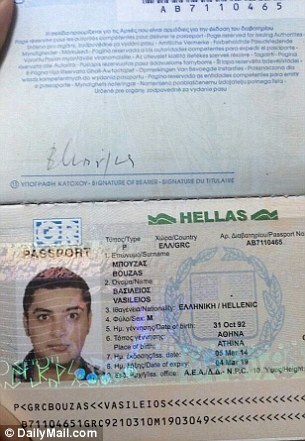 He asked for his passport and when he saw it was Greek he contacted immigration,’ one Honduran official said. The security man then asked Mikhail if he and the others had received yellow fever shots. Mikhail appeared unclear, even though their travel documents said they had been vaccinated. But the passports were so well forged, it still wasn’t clear that there was anything wrong. It was only when the Hondurans made transatlantic calls to Athens that they learned something was wrong. ‘The Greeks called back at 4 in the morning to tell us that four of the passports had been stolen and the fifth one was lost,’ a Honduran source said. The men were grilled for 14 hours at the airport with security even calling in a Greek diplomat who confirmed that none of them spoke a word of Greek. 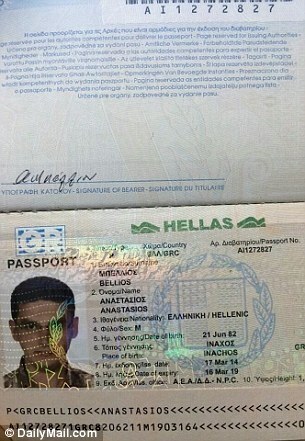 Forgers in Brazil had breached the documents’ security features to add the men’s photos. Baca said Honduran authorities now believe the men fled Syria to escape ISIS, the terror group that has claimed responsibility for last week’s attacks in Paris that killed 130. 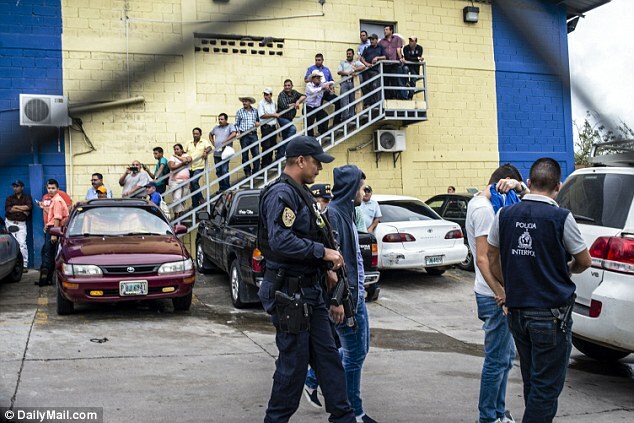 Carolina Menjivar, director of the Honduran Migration Department, said that the men ‘have no criminal record, according to the investigative bodies in their countries of origin’. But they still face charges because they traveled on false documents. ISIS has boasted that some of the eight men who wreaked havoc on the French capital had traveled to Europe hiding among the hundreds of thousands of migrants who have fled to the continent over the past few months. And that is what is causing alarm in the United States. Many believe terrorists could use well-established people-smuggling routes that have brought thousands trying to escape violence and poverty in Honduras, Guatemala and El Salvador to the US border. Members of two Syrian families turned themselves in to U.S. authorities in Laredo, Texas, at the Mexican border, U.S. Homeland Security officials said on Thursday. Two men, two women and four children were handed over to immigration officials for processing. And a sixth Syrian, a woman, was stopped in Honduras on Wednesday and sent back to El Salvador after flying in on a Greek passport. She was caught because her documents did not show she had had her yellow fever shot. At least nine undocumented Syrians were caught by Mexican authorities between January and September of 2015, according to immigration statistics from the Mexican interior ministry. ‘This is a serious concern,’ Republican Senator Ron Johnson of Wisconsin, the chairman of the Senate Homeland Security Committee, told a hearing. ‘Obama has created an open border in our nation … and extremists will exploit it. This is just the tip of the iceberg.’ Babeu tweeted on Thursday. 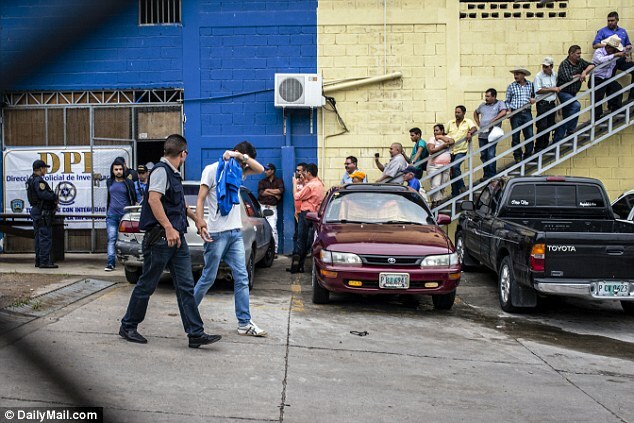 A U.S. official said the men had chosen Honduras because they had been told border controls in the country were lax. The men initially told Honduran officials they only planned to go to Guatemala, but both Honduran and American sources say they are now convinced they planned to travel up to the United States. And the group’s youngest, 19-year-old Laurans Samaan, had told relatives he wanted to reach his brother who lives in the United States, Samaan’s brother-in-law said. ‘He is a young man, he wants to earn a living. What will he do in Syria? It’s so dangerous,’ Issa Amissa said. 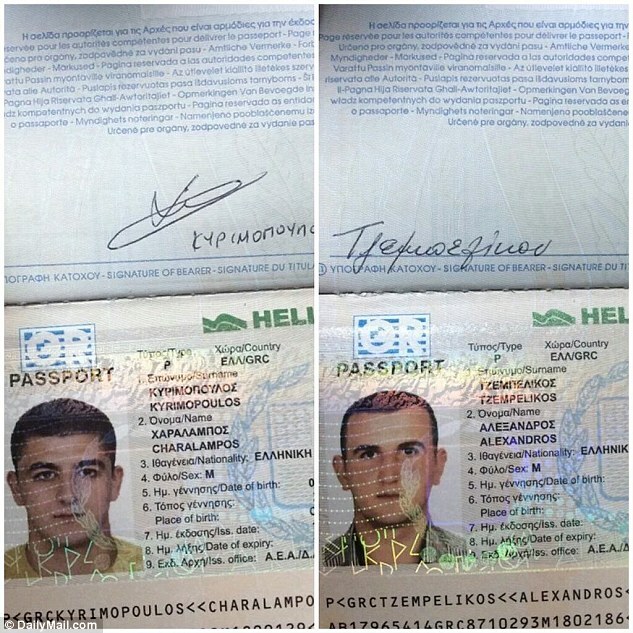 Mikhail, Samaan, and the other three, Majd Ghaonout Kousa, 21, Fady Freej Shehada, 26, and William Ghanem, 19, were originally believed to be traveling on Greek passports they had stolen before they flew to South America, but now officials say they obtained the fake documents in Brazil. 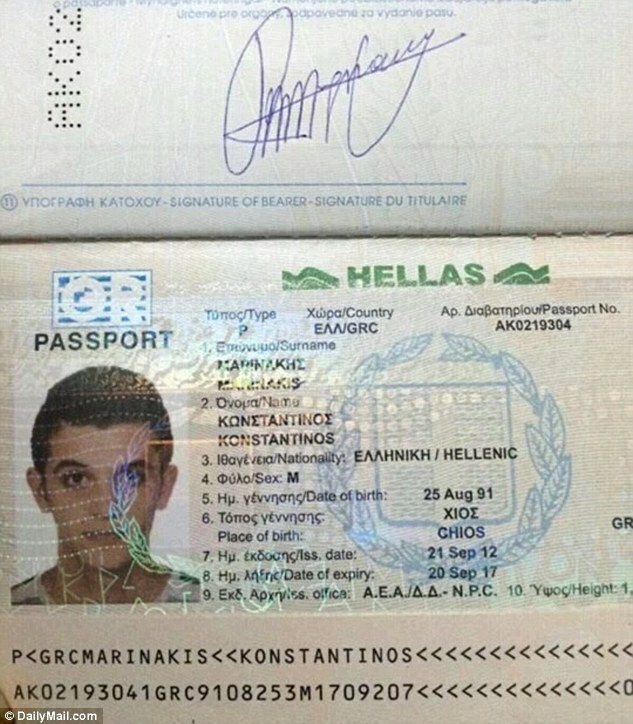 They were traveling under the Greek names Alexandros Tzempelikos, Anastasios Bellios, Konstantinos Marinakis, Charalampos Kyrmopou amd Vasileios Bouzas. They each paid $10,000 for their trip. Family and friends had collected the money for them in Syria, officials say. 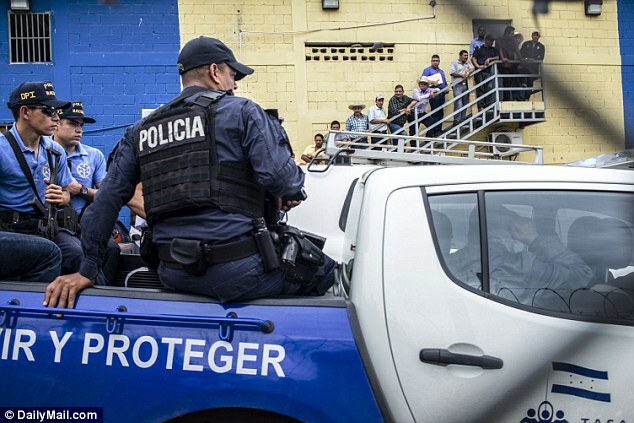 Until Friday’s hearing they had been held in cells at the Honduran Police’s Department of Investigations, the DPI. On Friday morning they were driven in two police trucks to the courthouse. Police were seen loading the men’s suitcases, – one blue, one red, one black, one brown and the fifth a darker shade of blue with red piping – into one of the trucks. 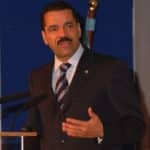 The Honduran human rights group, Ciprodeh, has taken up the case. 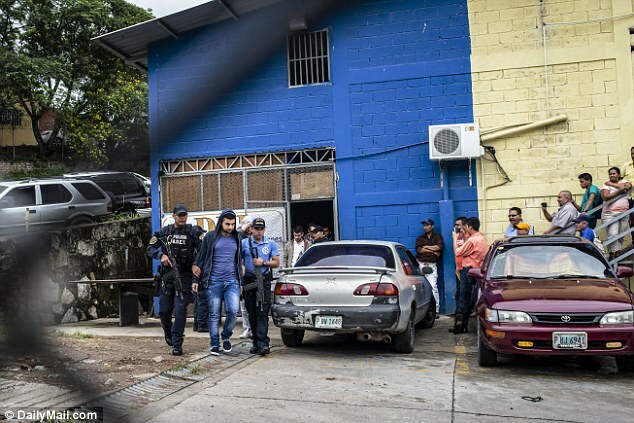 Spokeswoman Natalia Lozano told Daily Mail Online that the men want refugee status in Honduras, and now it has been discovered they have no terror links, the government should grant it.